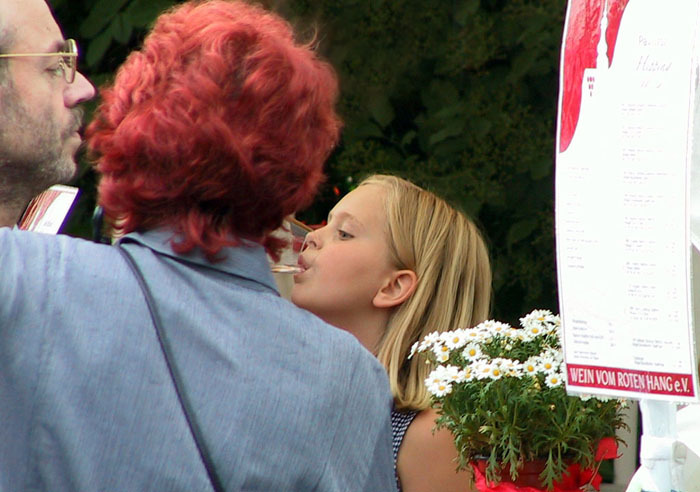 Topic: WINE - Red, White, or Other - Discussed Here! Re: WINE - Red, White, or Other - Discussed Here! Well, there seems to be some interest in South American wines, meaning mainly those from Chile & Argentina - tonight, I've been enjoying the Norton 2004 Malbec Reserva - about $14 in the USA (have a few extras in the basement cellar) - rated 91 in the Wine Spectator; the Malbec grape is one of the 'lesser' blending varietals used in Bordeaux (of course, the two main grapes there are Cabernet Sauvignon & Merlot), along w/ Cabernet Franc, Malbec, & Petit Verdot; however, this particular grape in the Mendoza Vly of Argentina seems to emerge on its own as an excellent red wine - these are well priced & worth exploring. 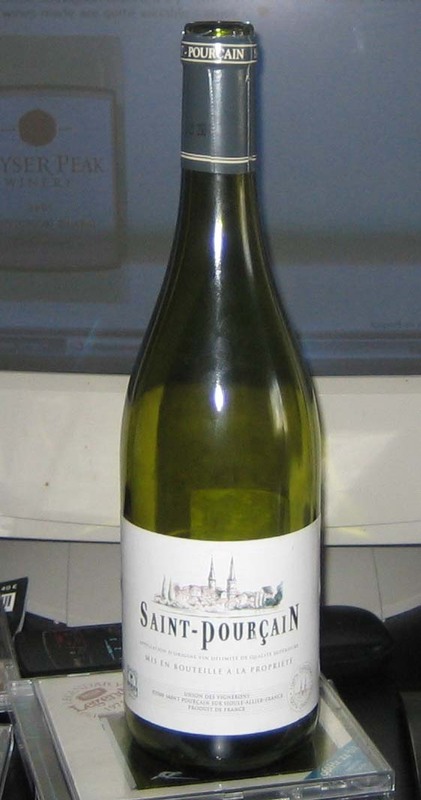 Tonight w/ dinner (chicken) had a Geyser Peak 2005 Sauvignon Blanc - quite inexpensive (about $9 or so) and just a CA blend, but received an */87 rating in Connoisseurs' Guide to California Wine - my rating would be a B/B+, i.e. pleasant wine & good value - worth a try if you like this grape. Sauvignon Blanc is one of the classic 'white grapes' - origins are in France - the 'white' wines of Bordeaux are typically a combination of this grape w/ Semillon, depending on the region (e.g. more SB in the 'dry' white wine areas vs. more Semillon in the 'sweet' wine areas, such as Sauternes and Barsac); the other important French region is the Loire Vly, esp. in the Sancerre & Pouilly Fume regions - these latter wines can be quite enjoyable - I love the better ones, but just can't get much of a selection in North Carolina. Of course, this grape has been grown well in the New World - great examples are in California, Washington State, South America (esp. Chile in the Casablanca Vly), New Zealand; and in addition, Australia & South Africa (just had one of the latter the other day, about $12, and excellent!). But I must say that my 'favorite' present Sauvignon Blanc wines are emerging from New Zealand - these are absolutely delicious wines at great prices (plus shipped in HUGE volumes at least to the USA); these NZ SBs are different - fresh, tart (like green apples), and refreshing (well chilled) - not much aging potential (plus, remember that harvest time is in the spring, so many are released in the fall of the same year, e.g. I'm buying to '06 currently). I'm not a wine drinker (of course) but when we were in France last week, coming home from skiing in the Alps, we stopped over in Beaune - the heart of Burgundy wine. Chassagne Montrachet 2003 - generally held to be one of the 'holy trinity' of white wines. Clos Vougeot Grand Crut - an exquisite red. I'm not sure of the exact prices but the Chassagne Montrachet was at least £60 (we didn't buy any!). It was the most interesting wine I've ever tasted, it acquired an almost honey like taste after a while. I've discussed Sauvignon Blanc with you on the old forum. My opinion hasn't changed: I still love these wines. When I'm "home" (Ohio), I always order this grape with my fish. Dry Creek is a favorite (consistently good, and consistently cheap) but I'll splurge too on a really great bottle if I see one on a wine list (Cakebread, for example). It's a blend unique to this appellation: Sauvignon blanc, Chardonnay, and Tressallier (a grape indiginous to the region, I think). No oak. This is an absolutely wonderful food wine. 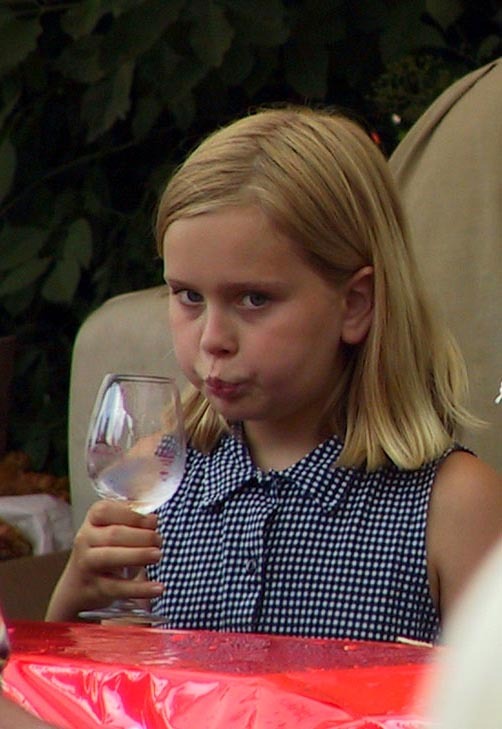 To be honest, I don't see much wrong with drinking wine at an early-ish age (provided it's done in sensible amounts). I'm not sure about not being happy with anything less than Grand Cru but it certainly makes a difference. 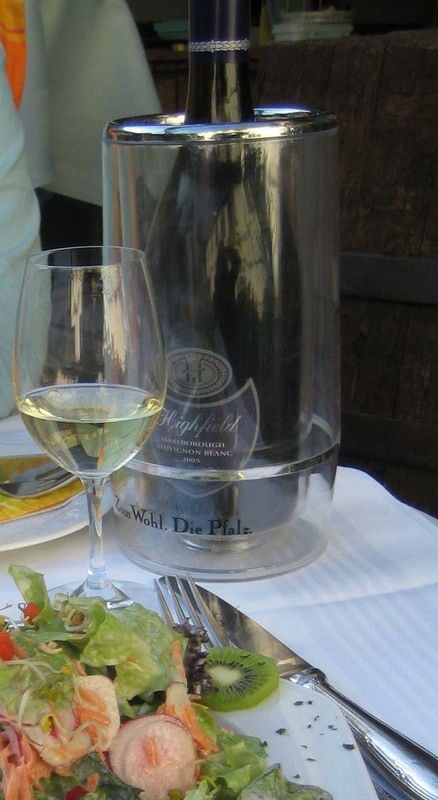 People seem to think that expensive wine isn't as good as it's made out to be but the glass of Chassagne Montrachet that I had was the most special wine I've ever tasted - it tasted different to all the whites I'd had previously. Then again, in Burgundy there were some beautiful wines for about 15 euros. My wine education (taste wise) is only very limited to the Côte de Beaune and Côte de Nuits. Right now, I'm just focussing on learning about the grapes etc. I don't either. When you're brought up with the sense that wine is simply part of the meal, there is less likelihood you'll overindulge or treat alcohol as a drug. And too, anytime you forbid something to a human being, they're more likely to rebel, sneak off and abuse it. 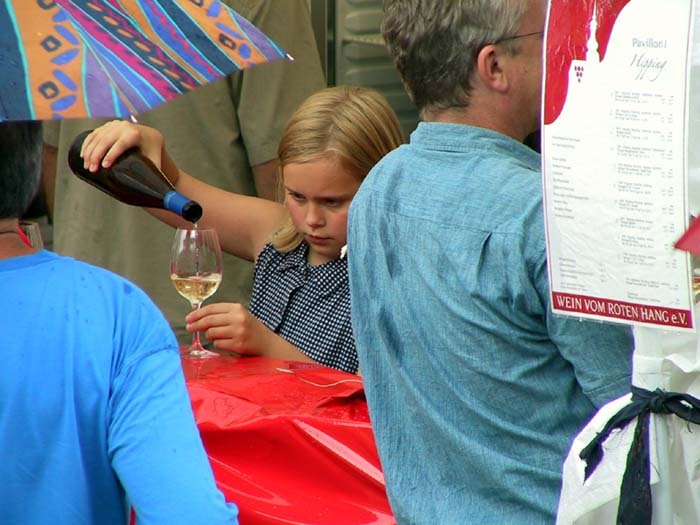 When we have guests from the States, we take them to wine fests; the teens appreciate being treated as adults, i.e., they can have a glass of wine if they want. Very often, they choose not to!... or choose to have just one glass. I've never seen anyone drink too much. May I ask: where do you live? Is it in Germany? Don Giovanni - I'd have to agree w/ Sarge - tasting those wines might 'ruin' you for life! When my wine cellar was at a larger capacity 15 yrs or so ago, and when 'white' & 'red' Burgundies (esp. the Premier Cru vineyards) were available here at decent prices, I did have a good collection of these wines, but cost for these better wines have escalated so much recently & the availability in my area remains poor, I've pretty much stopped buying them (indeed a loss for me). However, I still love Pinot Noirs and Chardonnays, as discussed earlier in this thread. Sarge - thanks again for the comments on the Sauvignon Blancs & the pics - drinking attitudes in the USA have always irritated me - I don't travel much to Europe anymore, but use to get over there every couple of years, and loved their more 'laid back' approaches to wine consumption, esp. at earlier ages; I remember taking our son to France when he was a young teenager (20 yrs or so ago) - one night in Paris, we went to the Moulin Rouge to see the show (which he thoroughly enjoyed); but we ordered a bottle of Champagne - the waiter brought 3 glasses, and he was able to share w/ us, I think he felt a foot taller when the show ended! I'm an American but I married a German woman and we settled in Germany after I retired from the army. 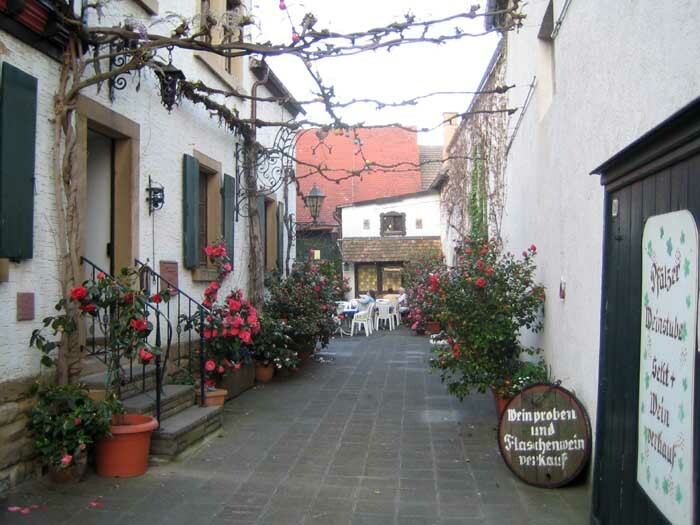 I live in the Rheinhessen wine region in a village on the Rhine River just north of Worms. We're about 30 minutes from the heart of the Pfalz (Deidesheim), 45 minutes from the Rheingau and Nahe, a little over an hour to the Mosel. We're close to France, too, and travel there often to buy wine. Oh, so you were in the army! I just thought that that was a sort of persona you took on! Romantic? Yes, exactly...a romantic fool. If the French Foreign Legion had been easier to get into, I would have ended up there (much better food and wine of course ) The American army sufficed. Sarge - Those pictures of bottles of some of the finest dessert wine are making my mouth water! I really need to set some money aside and get some older bottles so that I can enjoy them now, and actively buy more bottles of recent vintages so that I don't have to spend a fortune in the future to buy older ones. Unfortunately, wine in Utah is a state-controlled monopoly, so if the state-owned stores don't have what I want, I'm out of luck unless I want to travel outside of the state. Of course, it is seriously illegal to mail-order wine here. On the bright side, however, the state-owned wine store in downtown Salt Lake is an excellent one. Even if I didn't live here, I would go by that store when passing through because they often have something interesting, and the high-end wines are often reasonably priced. I read an article not too long ago about the sole person responsible for what gets to come into Utah. I couldn't believe only one person was in charge of all that wine. I just had a wonderful glass of Schloss Vollrads 2003 Riesling Spätlese trocken (Rheingau). The weather has been so freakishly gorgeous here the last two weeks, we're planning a picnic in the Rheingau next Saturday. There's a table and bench high above Hallgarten, between the last row of vines in the Hendelberg and the Taunus forest, with a spectacular panoramic view of the heart of the Rheingau: the Rhine River, Erbach, Hattenheim, Oestrich/Winkel, the Steinberg vineyard, enclosed with that stone wall, Schloss Johannisberg. We picnic there several times a year and usually go to Schloss Vollrads first to taste the wines and pick a bottle to drink with the meal. We keep a few cases of Vollrads in the cellar too; it's one of our favorite German estates. Didn't you have your wedding reception at Vollrads, O? Ever since reading that I've been thnking about NZ Sauvignon. NZ bottles are easy to find here but mainly the cheaper examples. Nice but hardly compares to the local Riesling quality-wise. I'd never had a bottle demonstrating the greatness of NZ Sauvignon. A fortuitous set of circumstances changed that Saturday evening. 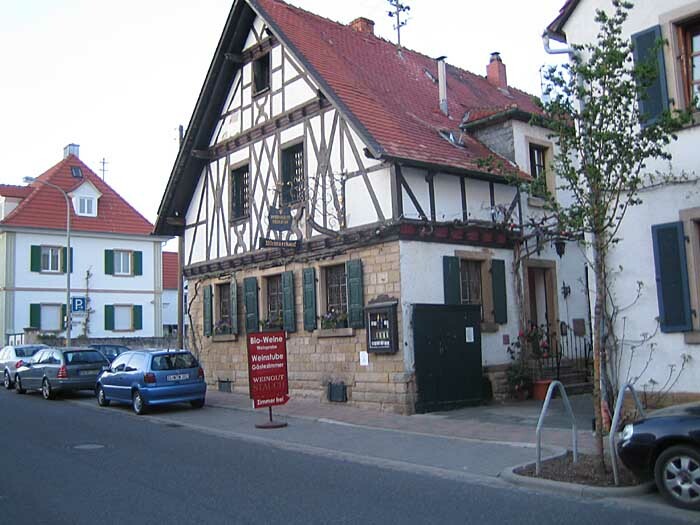 Mrs. Rock wanted to check out a new restaurant in Mussbach (a wine village between Deidesheim and Neustadt on the Deutsche Weinstrasse in the Pfalz). It was a beautiful place with a Hof (a courtyard between the buildings); since the weather was perfect we chose to eat outside. The wine list was a surprise. It led off with two pages of Sauvignon blanc!!! Bottles from Australia, the Loire, Austria, Germany but mostly from New Zealand! 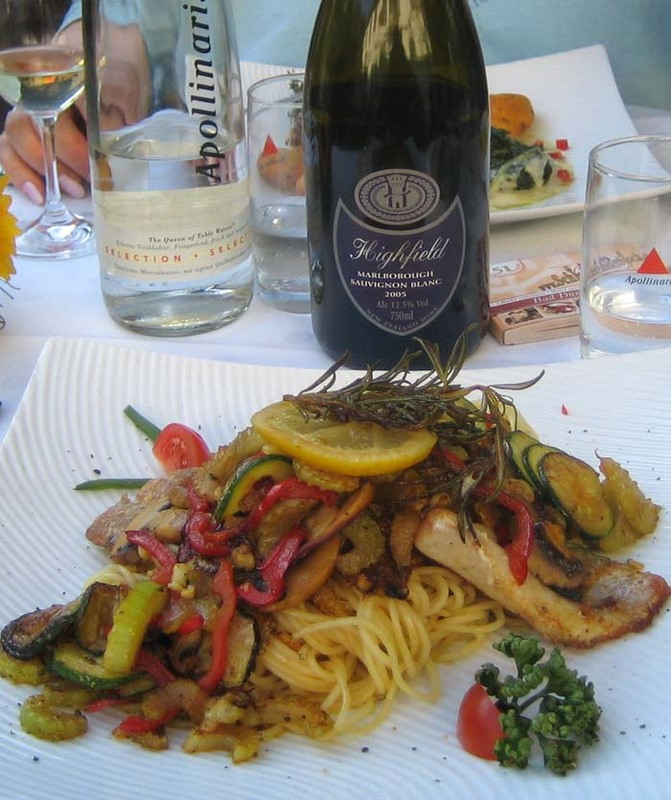 I know next to nothing about these wines but decided on one of the more expensive NZ bottles that also happened to be young (I know the wines don't age well usually): a 2005 Highfield from the Marlborough region. Mrs. Rock ordered pork tenderloin and creamed spinach and I ordered Rotbarsch (ocean perch) cooked Mediterranean style with vegetables and spaghetti. After dinner we drove north on the Weinstrasse to Kallstadt and went to Weingut Stauch for cheese and more wine. We had a great Alsation Munster with a glass of dry Riesling Kabinett from the town's famous Saumagen (Sow's belly) vineyard. By the way, Dave, Stauch makes superb Pinot Noir. In 2003 and 2004 his Pinots came in first place in competition in Paris (against over 700 other Pinots).